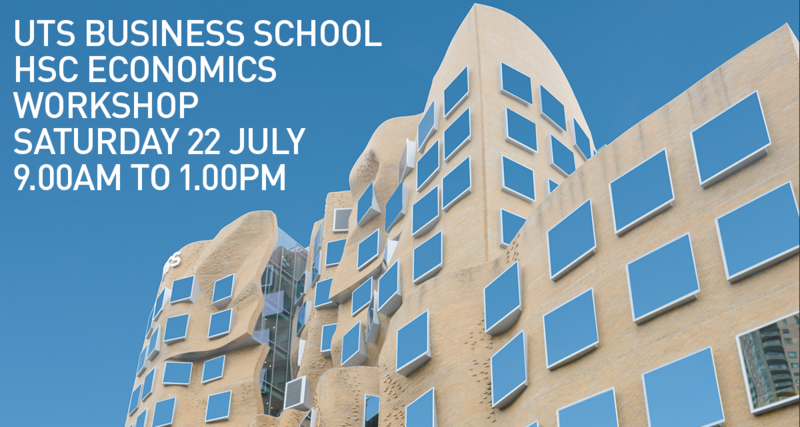 UTS Business School is hosting a workshop for all students doing Economics and or Business Studies in their HSC. Developed in consultation with leading HSC economics and business teachers from across NSW, the workshop will feature three lectures from our leading academics, providing you with indepth knowledge as you head into the trial HSC and beyond. In addition to the workshop sessions, this will provide an opportunity to meet current economics and business university students to help answer any questions you may have about university studies. For parking information and maps please click here.